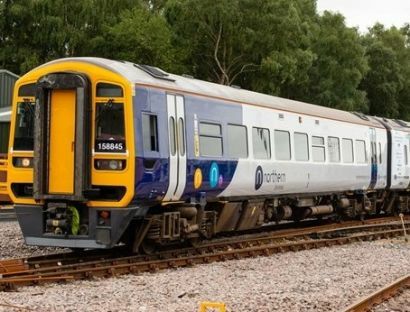 THE long-running series of strikes on Northern has been suspended by the RMT, after progress was made in talks over on-train staffing. Northern has offered to provide a conductor on all services. However, the news of a breakthrough has come too late to reset the timetable for this Saturday. Northern described the talks at ACAS, moderated by ACAS chair Sir Brendan Barber, as ‘positive’. Managing director David Brown said: ‘We warmly welcome RMT’s decision to suspend its strike action and recommence talks about what the future role of the conductor looks like. ‘We have been very clear in these discussions that there will be a conductor on all our trains now and into the future. We are looking forward to further positive talks with RMT about operational models moving ahead so that we can resolve their dispute and bring it to an end. He continued: ‘I also want to thank the travelling public for their extraordinary support and both Andy Burnham and Steve Rotheram for their efforts that have been important in allowing us to break the deadlock.